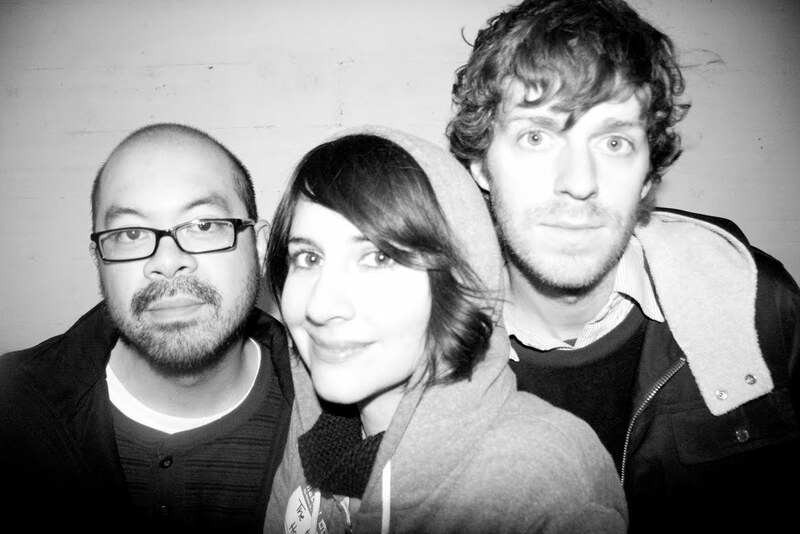 L.A.'s charismatic power-trio The Happy Hollows have announced summer headlining tour dates in support of their highly acclaimed debut album, Spells which was released earlier this year. 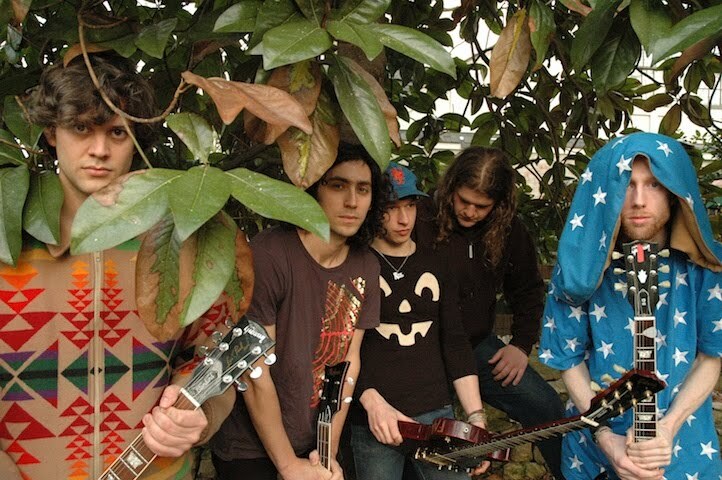 The band's explosive live performances have earned The Happy Hollows a devoted following and it's now poised to spread even further. Some might recognize the young group's infectious and irreverent noise-pop from MTVu's regular rotation of the clever animated video for "Death To Vivek Camp", others may recall the band's sly performance coup in this ubiquitous Samsung commercial. The Happy Hollows' upcoming dates include a performance at the NXNE festival in Toronto, ON with Japandroids and Wavves. Please see complete dates below. 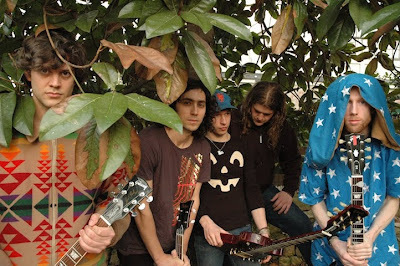 Spells is a culmination of their work with producer and former Mighty Lemon Drops guitarist David Newton (The Little Ones, The Blood Arm), who also produced the group’s 2008 EP Imaginary. A brand new digital-only EP of bonus tracks from the Spells sessions is available HERE. Check out the stunning new video for "Big Bad Wolf" directed by Ryan Reichenfeld HERE. The Happy Hollows' vocalist/guitarist Sarah Negahdari wields ominous riffs and finger-tapped arpeggios while singing with a cherubic-yet-mischievous grin. Meanwhile, the agile rhythm section of Charles Mahoney (bass/vocals) and Chris Hernandez (drums/vocals) vault and lunge with precision. Over a very short time, the band leapt from playing small shows in restaurants and laundromats to packed headlining performances in its home base, as well as scoring coveted appearances on major network television, MTV, Sirius and XM radio airplay. 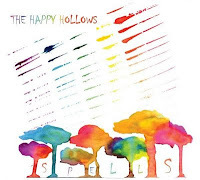 The Happy Hollows' catchy yet dissonant sound is influenced by genres as disparate as 90's college rock, garage punk, art rock, and 80's pop. The band combines innovative song structures, surreal lyrics, and fiercely adept instrumentation to recreate reality into a jagged panorama of vibrant, kaleidoscopic collage. Listening to their music, one cannot help but see visions of a place oddly askew from the world we experience everyday, a parallel universe that is at once whimsical, demented, and ferocious. Brooklyn's high-fiving guitar-anthem optimists Fang Island have announced dates supporting indie-rock legends the Flaming Lips in July. Prior to that mega-tour, the band embarks on US headlining dates beginning May 15th in Phoenix, leading to a triumphant NYC homecoming on May 29th with Dan Deacon to celebrate the 5th anniversary of the Cake Shop. The quintet also plays Chicago's Green Music Fest in June. Please see below for complete dates. Fang Island recently taped a performance for Fuel TV's "Daily Habit" to air soon. Many more video appearances and special events are planned to follow in the coming months. 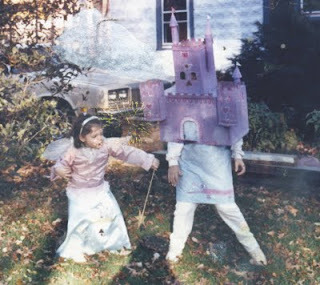 Pitchfork recently hailed Fang Island's Sargent House debut album, naming it a Best New Music pick. Before that, the site debuted the quirky video for "Daisy" directed by Carlos Charlie Perez (Li'l Wayne, Vampire Weekend). A second clip, also directed by Perez, followed for the song "Life Coach". 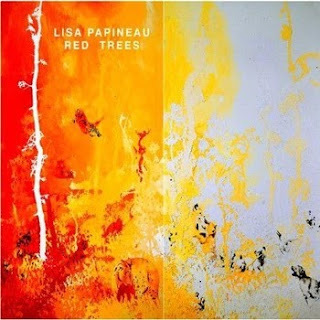 The highly-accomplished singer/composer Lisa Papineau releases her Sargent House debut, Red Trees this week on Tuesday, May 4th. The album is the second solo venture from the active collaborator known for her vocal contributions to Air and M83, as well as writing with The Mars Volta bassist Juan Alderete de la Peña in Big Sir. The ever-active Papineau also works with soundtrack composer Tyler Bates, Japanese artist Jun Miyake, The Anubian Lights, Bron Tieman's Crooked Cowboy and countless other projects. Red Trees was recorded with French musicians Matthieu Lesenechal and Johan Guidou, and features guest vocals from singer/songwriters Matthieu Boogaerts and Mark Eitzel of American Music Club. Listen to the MP3 for "White Leather Pants" HERE. Unfortunately, her live dates in the U.S. last month were cancelled due to the volcano debacle, but makeup shows will be announced soon. Remarkably, contending with multiple sclerosis in recent years hasn't slowed down Papineau's creative output. Having relocated to France in the middle of the last decade, the myriad challenges she confronted served as inspiration to her muse. "Since I got sick," she explains, "there have been times when I can’t speak, can’t see very well, can’t walk well, and am in pain that is so singular, there is no thinking that goes along with it, just being. It reminded me a little bit of what it was like when I first moved to France, of the very tunnel-like feeling I had not understanding most of what was being said, not being able to communicate in the flow in which I was normally accustomed. One leans harder into the connections with other people when you can’t take the modes of expression for granted." That sense of vulnerability helped inspire the sound and semi-lyrical approach of Red Trees. "I wanted to take a little leap off," Papineau says. "Something that felt more like being a newcomer who doesn’t yet have the local language, or the person who struggles to get his tongue to work." Beginning in multimedia performance art, Papineau's career has been filled with countless highlights. To see her entire bio of accomplishments, click HERE. She relocated to Los Angeles from the east coast and soon began a collaboration with the composer Tyler Bates (soundtrack composer for Watchmen, 300). The project was lovingly dubbed Pet. Coming to the attention of Tori Amos and her manager/ collaborator Arthur Spivak, Pet was the first signing to their imprint label with Atlantic Records, Igloo. After considerable touring, critical acclaim and appearances on the soundtrack of The Crow II and, on the Rock For Choice benefit album Spirit of 73, Pet split up. Papineau and Alderete formed Big Sir in ensuing months, issuing its self-titled debut album and a remix disc in 2000 and 2001 respectively. During this time, the two musicians continued their collaborations with other artists. Papineau lent her vocals to such diverse projects as the last two Air albums (10,000 Khertz, Talkie Walkie), P.O.D’s The Fundamental Elements of Southtown, Scapegoat Wax’s Okeeblow, Farflung’s Belief Module and NinePin Body, and the Dimension Mix tribute album to electronic sound pioneer Bruce Haack (featuring Beck, Stereolab, Eels, etc.) with The Anubian Lights, while also rocking synths and mic for a Japanese tour of The Rentals. 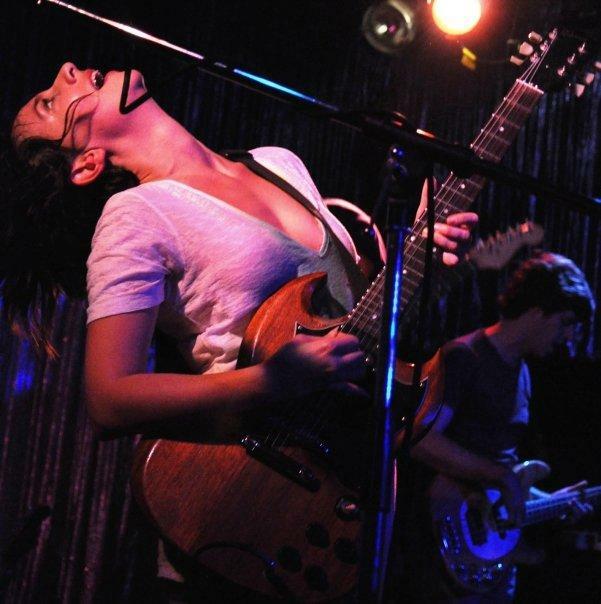 In 2005, Papineau sang two tracks on the M83 Before the Dawn Heals Us release. Around that time, Papineau moved to Paris and there, began to write the songs that were to be the body of her first solo album Night Moves. The album made its debut in the USA in July 2006, on LunaticWorks (Sony/BMG). Back and forth between France and the US, the past few years have found Papineau hard at work on several projects, and spending a good deal of time on the road performing live. In 2007, Big Sir released Und Die Scheiße Ändert Sich Immer via Gold Standard Labs. The song “Rene Thomas” from Red Trees was included on Brownswood Recording’s Brownswood Bubblers 4, the latest album in the compilation series assembled by BBC DJ Gilles Peterson to present his newest musical discoveries. In March 2009, she appeared performing ambient vocals on the Tyler Bates score soundtrack of the film Watchmen. Now writing and recording for the newest Big Sir album, Papineau has also begun to create material for new collaborations with Jun Miyake, Tyler Bates, Matt Embree and her own newest solo album. Red Trees is available May 4th, 2010 via Sargent House.